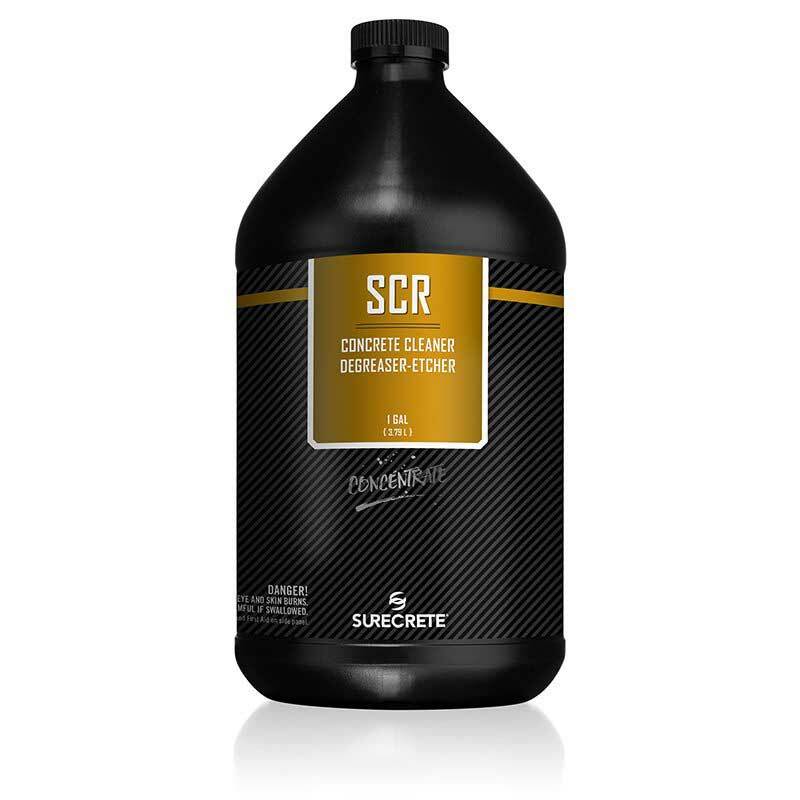 SureCrete’s SCR is a concentrated concrete cleaner for cleaning driveways, sidewalks, and pool decks. SCR is a commercial grade cleaner that is also environmentally safe for plants and grass when cleaning stains and preparing concrete for sealers. SCR’s formula quickly dissolves mortar, scale, rust, algae, stains, and mineral deposits such as efflorescence.